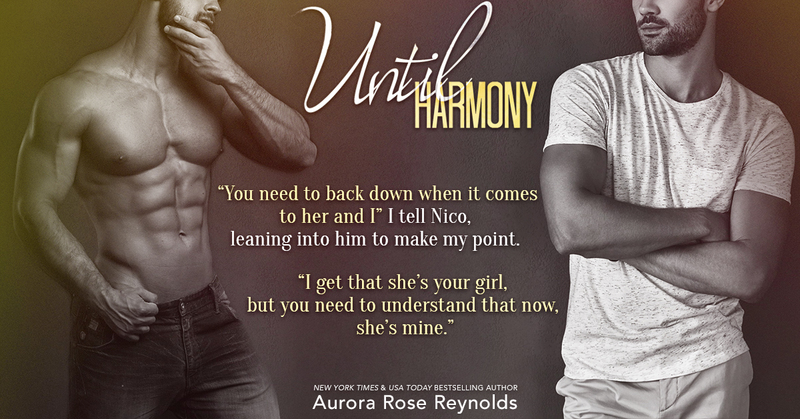 UNTIL HARMONY BY AURORA ROSE REYNOLDS! 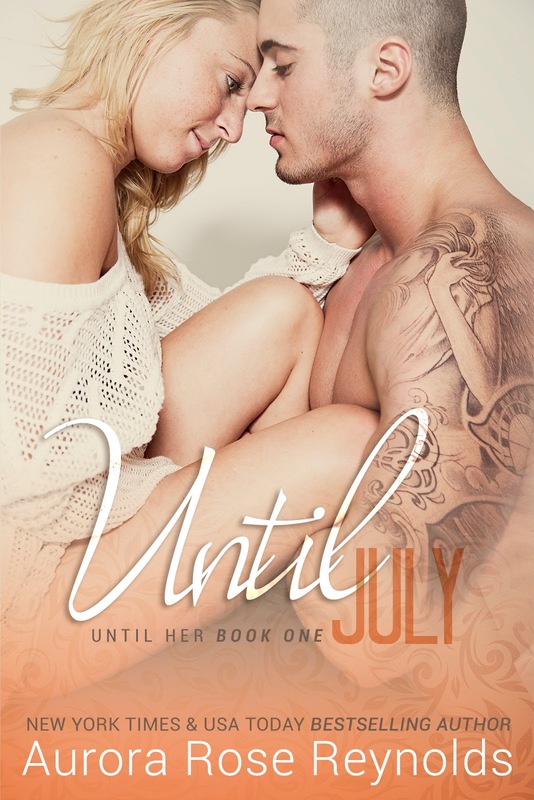 UNTIL HARMONY BY Aurora Rose Reynolds Release Blitz! Harmony Mayson isn’t the kind of girl to take unnecessary risk, but after meeting Harlen MacCabe, she starts to wonder if maybe she should be. The more time she spends with the wild and free biker, the more she starts to crave the freedom he gives her... And even more, she starts to crave him. Harlen lives his life on his own terms. After losing both his parents at an early age to a robbery gone bad, he knows how precious life is, and he’s determined to get as much out of it as he can. When he runs into the beautiful Harmony and finds out she’s moving to town, he knows it’s time to take his shot. She thinks he only wants to be friends, but she couldn’t be more wrong. What Harmony and Harlen don’t know is that their time might be cut short. Revenge is in the air, and someone won’t stop until a debt is settled. 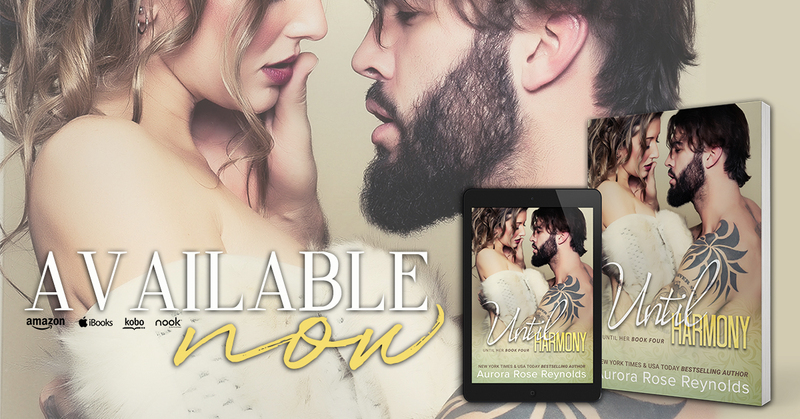 Until Harmony by Aurora Rose Reynolds carries on the stories of the Mayson family that we've come to know and love. Harmony finds herself the object of Harlen McCabe's attention and soon throws caution to the wind in the pursuit of the guy who's quickly stealing her heart. If you know anything about this series you know about the infamous boom. Basically the minute the Mayson sees the person they are supposed to be with they feel it whole-heartedly and will work hard to make that work. Harmony was no exception, and Harlen was just as affected as she was. This was an easy story and it was great to read the afternoon away. Aurora Rose Reynolds is a New York Times, USA Today and Wall Street Journal bestselling author whose wildly popular series include Until, Until Him, Until Her, Underground Kings and Shooting Stars. Her writing career started in an attempt to get the outrageously alpha men who resided in her head to leave her alone and has blossomed into an opportunity to share her stories with readers all over the world.